SQL Census is a desktop app that inspects your SQL Server and Active Directory to produce a clear overview of each user’s permissions. Read on to learn how it works. 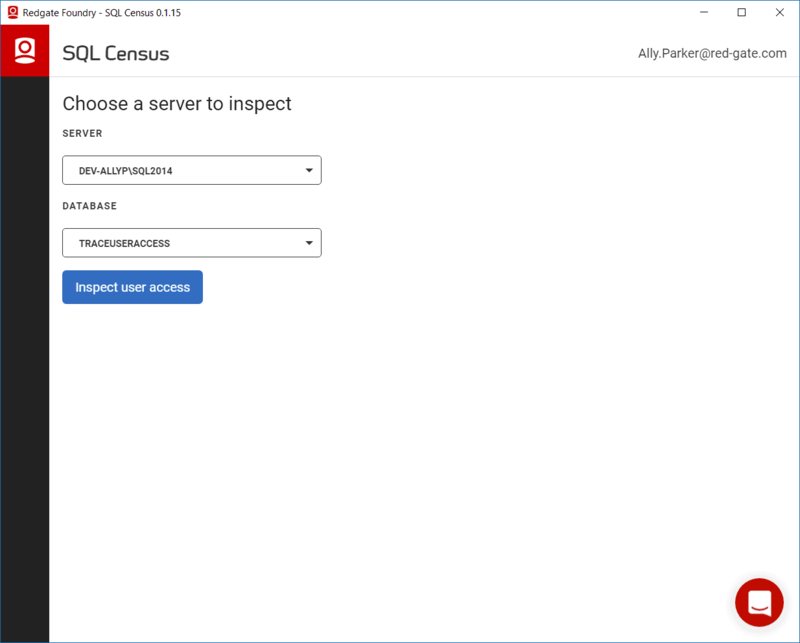 We’ve just released SQL Census, a prototype tool from Redgate’s Foundry division that makes auditing SQL Server user access permissions much easier. You can try it for free by downloading it from the Foundry website. 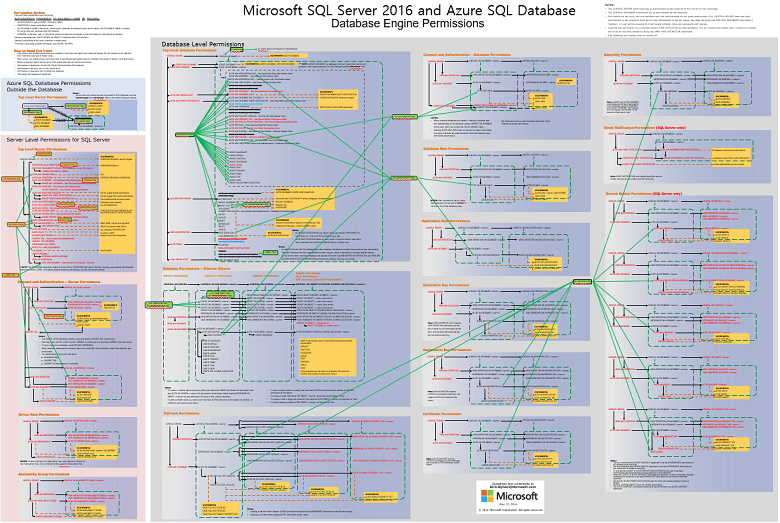 To use SQL Census, you’ll need a free Microsoft Azure account — the tool doesn’t consume any Azure resources, it’s just a handy way for us to work more closely with our early users. 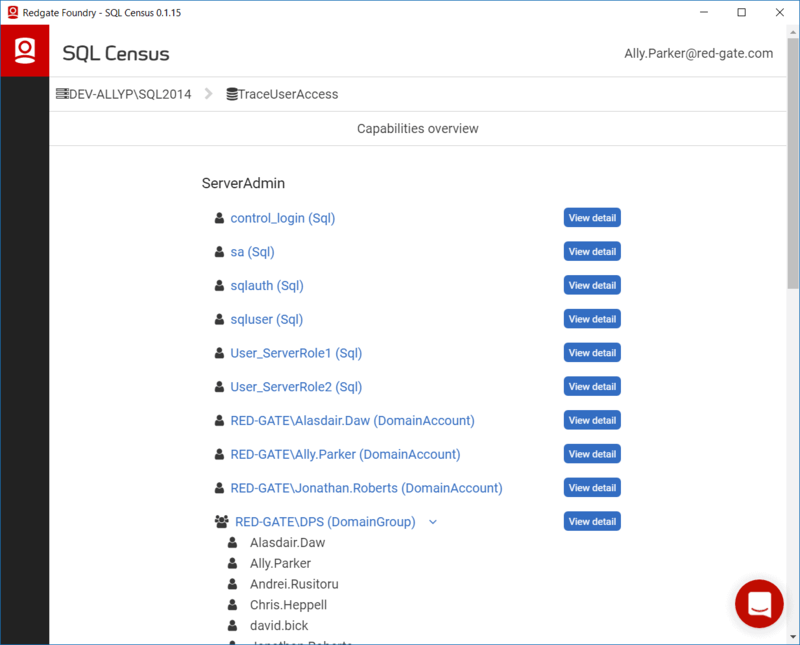 SQL Census is a desktop application that inspects your SQL Server and Active Directory and produces a clear overview of each user’s permissions, including what objects are affected and how. 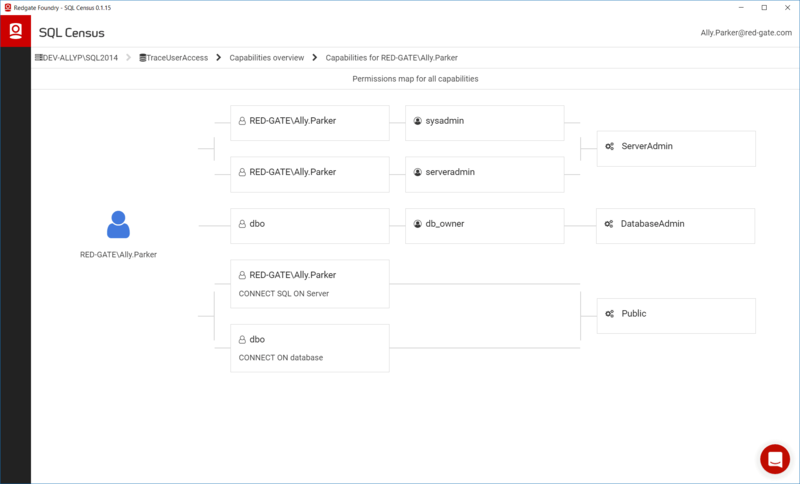 SQL Census takes the pain out of interpreting SQL Server’s complex permissions hierarchy, allowing you (and your auditors) to gain a clear understanding of your users’ effective permissions. SQL Census will then inspect your selected database. 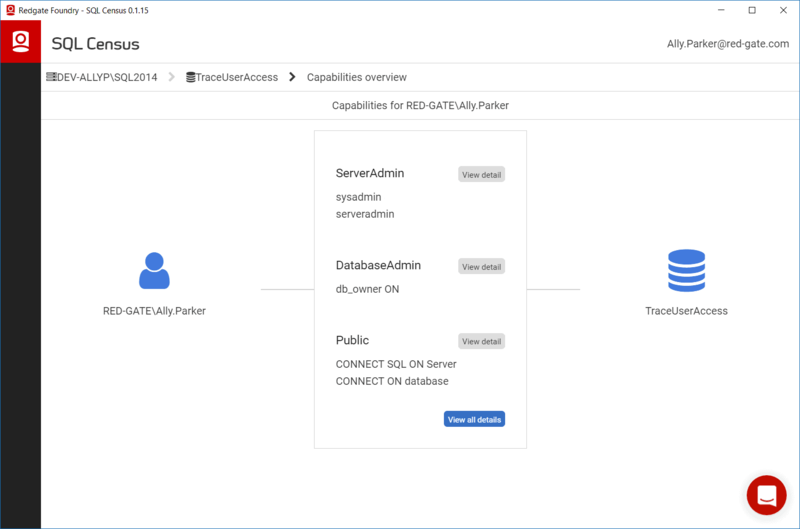 SQL Census knows all the ways that a server login can have permissions allocated — whether through server/database roles, object permissions, ownership, and even less well-known routes such as CONTROL permissions. Once complete, you’ll see an overview of your users with access to this database. Thanks to our Early Access users, SQL Census is evolving rapidly and we’re working hard to make it more flexible and robust. You can help us shape SQL Census by giving us feedback (the more brutally honest, the better) via the in-tool support widget (the red bubble in the bottom right), or by emailing us. The next major feature on our roadmap is generating a user access permissions report. There are many different forms these reports can take and we’d love to get your input into what report features are the most valuable to you. Published at DZone with permission of Ally Parker , DZone MVB. See the original article here.